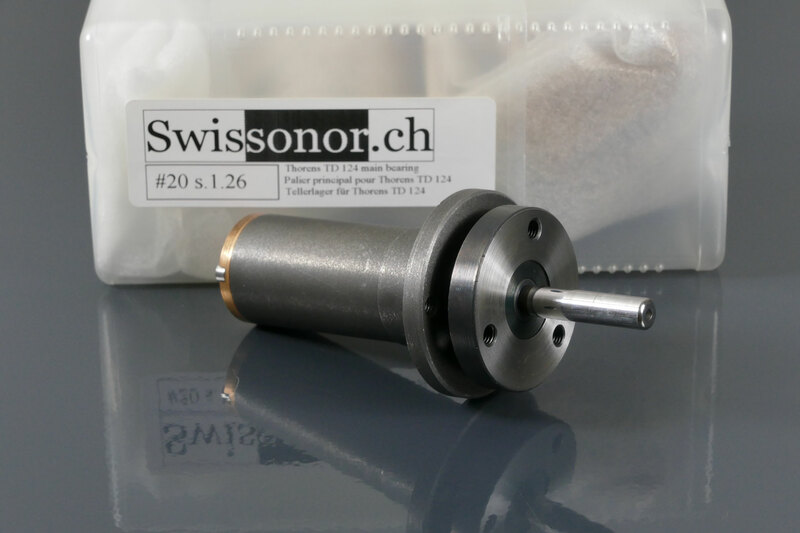 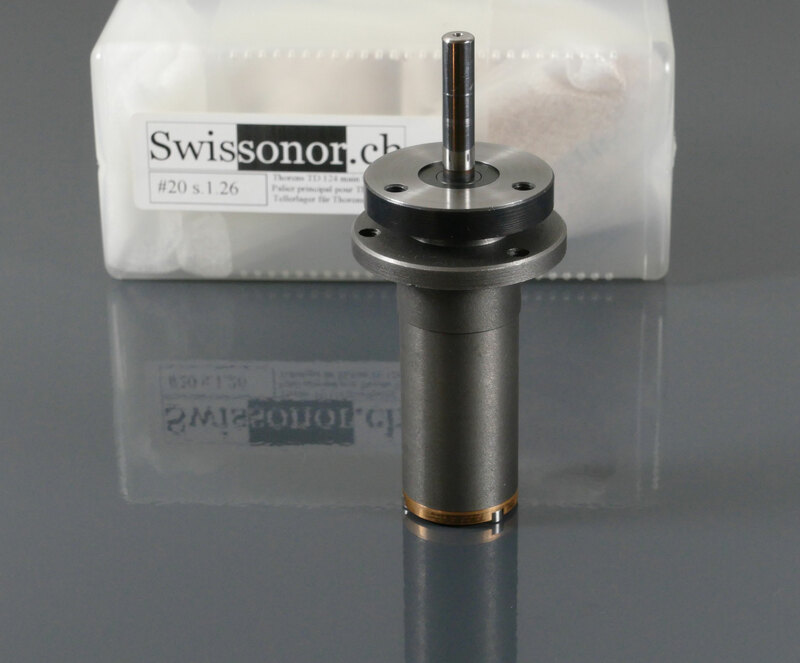 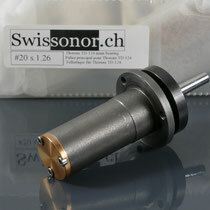 The newly developed SWISSONOR # 20 precision main-bearing is 1 : 1 compatible with the original bearing and very easy to install. 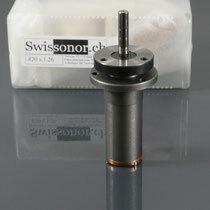 Perfect replacement for old, defective and worn original Thorens bearings. 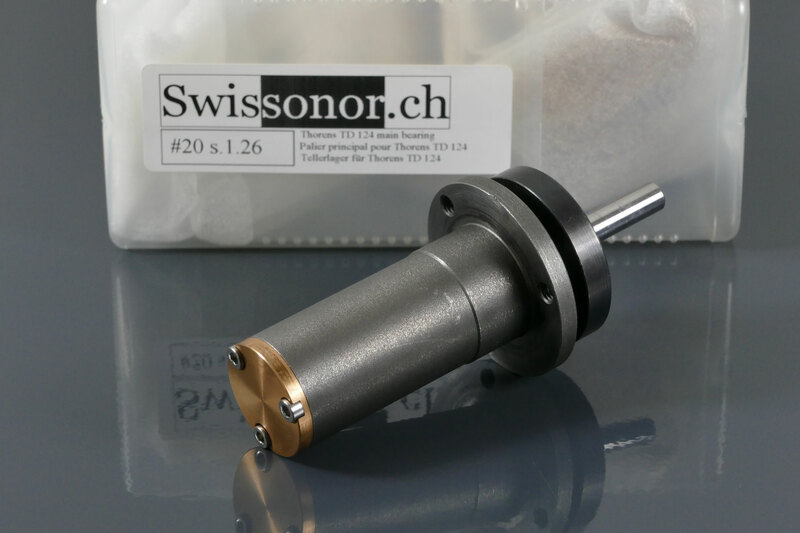 The bottom plate consists of bronze, with metal-to-metal contact (without using a nylon washer at the bottom) and a fully sealing o-ring seal. 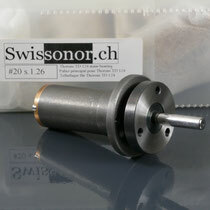 Significantly improved sound characteristics compared to the original bearing.